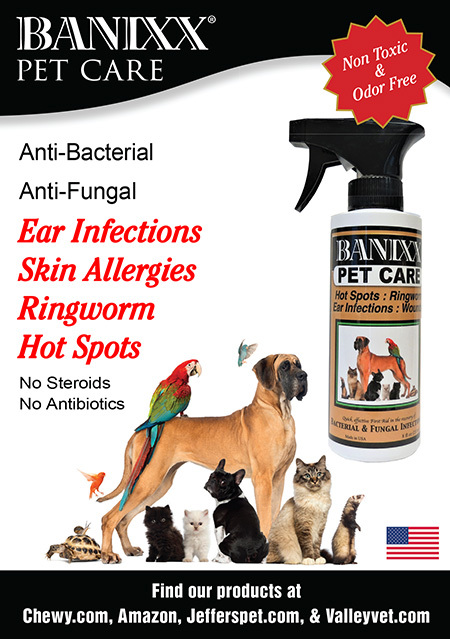 Treat ear infections in dogs, dog hot spots and dog itchy skin safely, affordably and effectively with Banixx! Banixx is available at numerous on-line and print catalogs such as HorseHealth, Jeffers Pet KV Vet, and Valley Vet. You can also go online to Banixx.com to order directly.